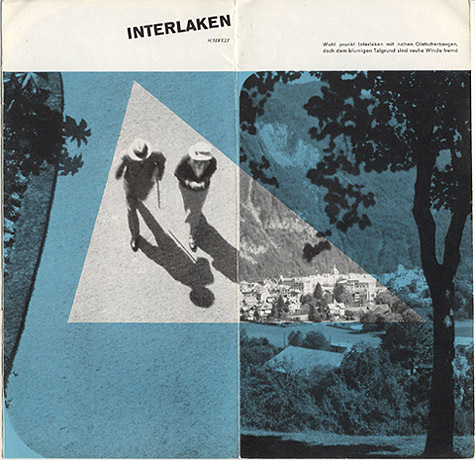 This brochure for the Interlaken, buy cialis shop Switzerland town council was published in. 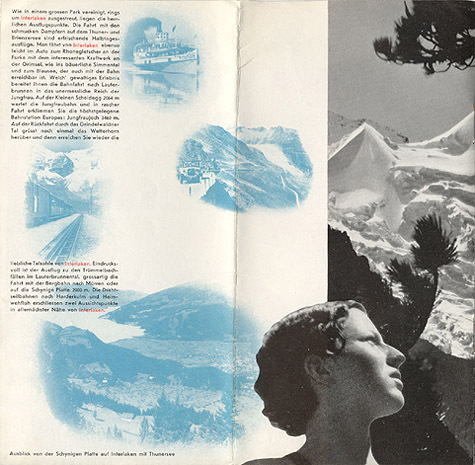 The graphic design of the brochure and the photomontages are by Herbert Matter and represents a continuation of the style Matter was employing during the period between 1932 and 1936 when Matter worked in Switzerland (see this post and my gallery). 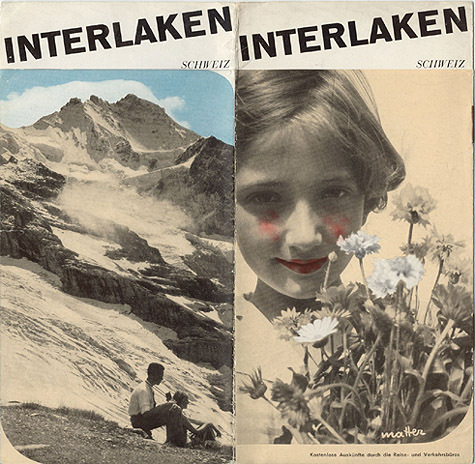 Travel brochure for Interlaken, discount viagra illness Schweiz, search 1935. 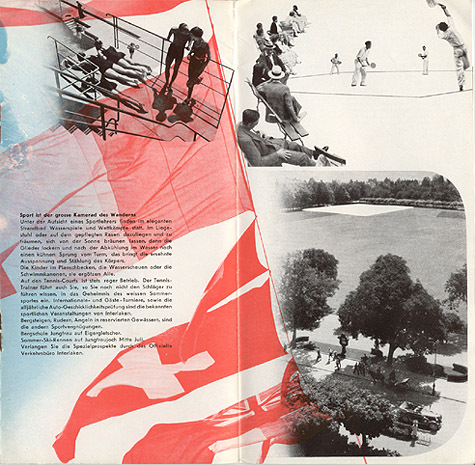 Published by the town spa authority. 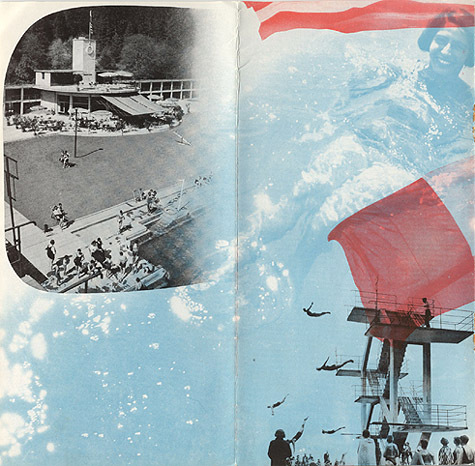 Design and photomontages by Herbert Matter. 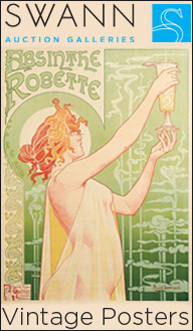 Layout by C.A. Weiland, photos by Matter, Stump, Wehrli, Schudel. 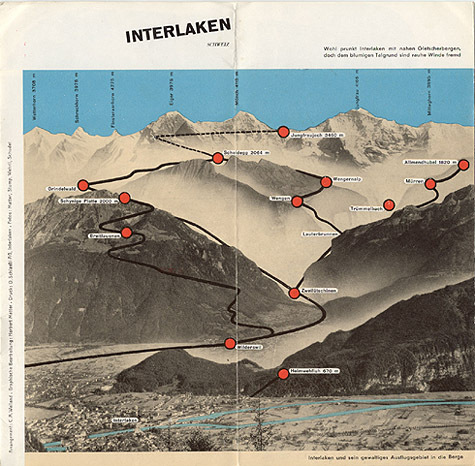 Printed by O. Schlaefli AG, Interlaken. 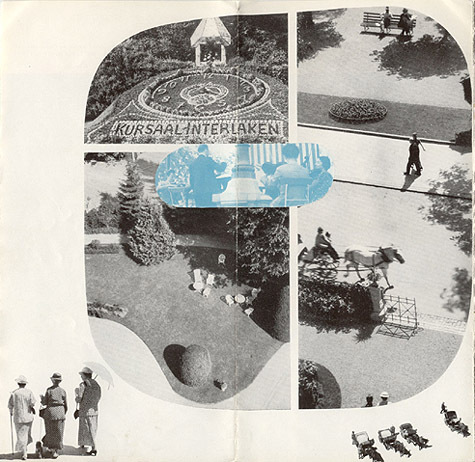 Cover – view one. 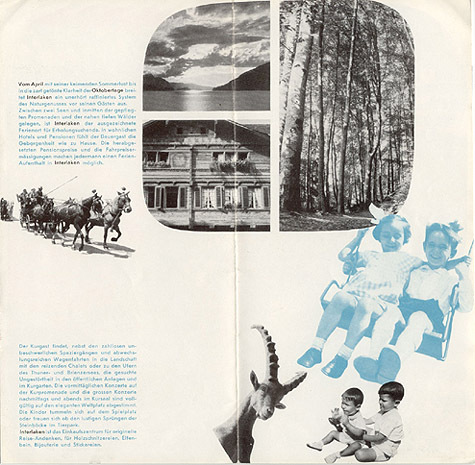 The brochure’s photomontages contain images from Matter, Stump, Wehril, and Schudel and was printed by O. Schlaefil in Interlaken. 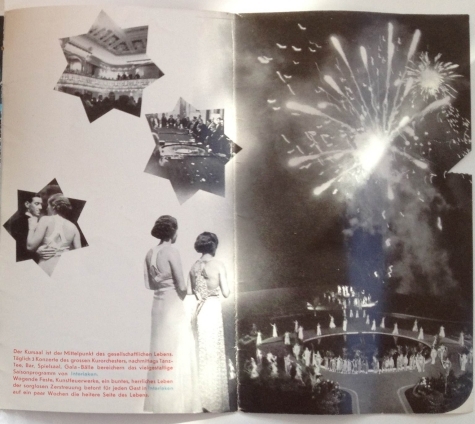 This brochure is among my most favorite in my collection. The layers of images, text, and colors are wonderful and unique in execution. In addition to their beauty, the images capture a time lost in the past which is one of the other attractions of collecting these items. This hot piece is still hot.